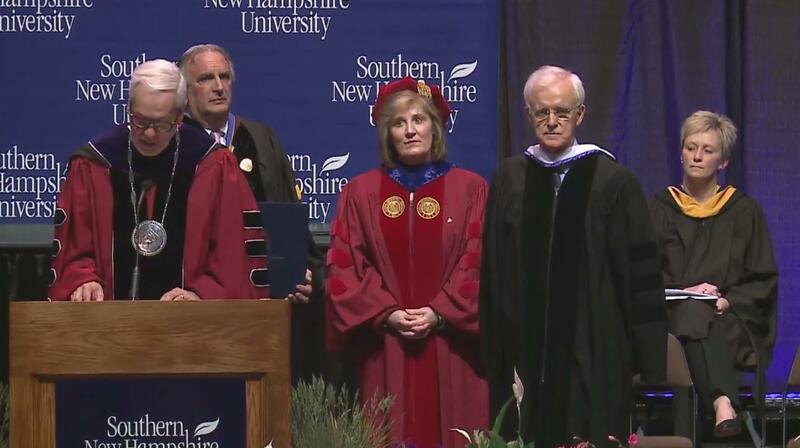 Southern New Hampshire University president Paul Leblanc (left) prepares to award former Nebraska senator Bob Kerrey with an honorary doctorate, May 15, 2016. 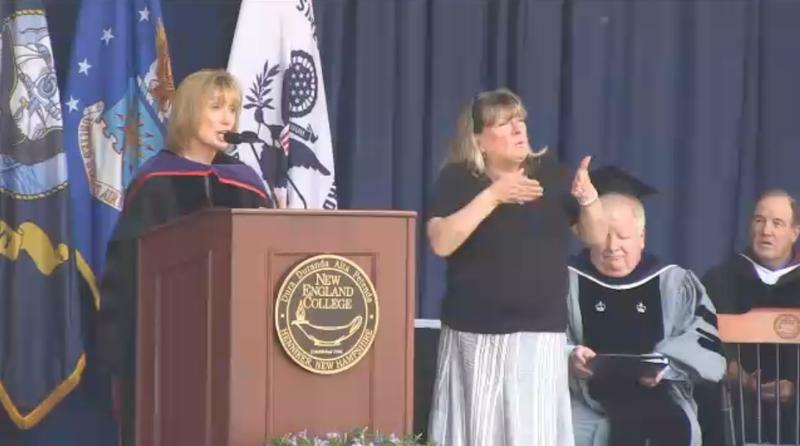 Southern New Hampshire University has just concluded two days of commencement ceremonies. The school held graduation events this weekend at the Verizon Wireless Arena in Manchester, expecting about 4,000 students to walk in the weekend's events. The guest speaker at Sunday morning's commencement for some graduate students was former Nebraska senator and governor Bob Kerrey. 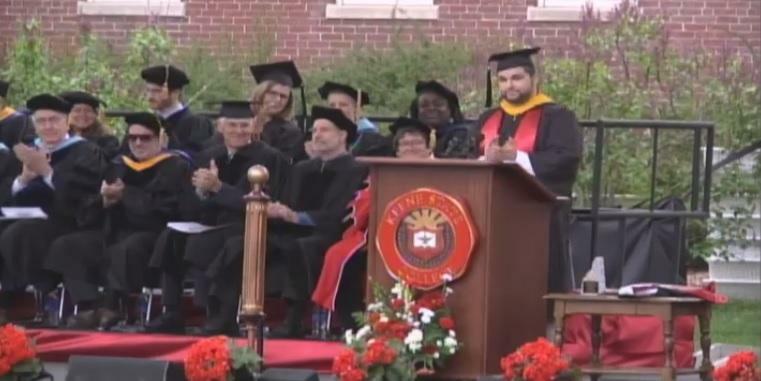 The onetime Democratic presidential hopeful encouraged the new graduates to live and work with honesty, humility and character. Character, Kerrey said was about "helping others when they need it, not when it's most convenient to you. It's doing the job the best you can with as little complaint as possible, and feeling good when somebody else displays artistic, athletic or academic genius." New England College, Franklin Pierce University and Great Bay Community College also held commencement events over the weekend. Commencement season continues in New Hampshire. Four New Hampshire colleges and universities held commencement exercises this weekend.